The red dust of the classroom floor stains the knees of Valérie Nikiema’s baggy blue jeans. Neck bent over her paper—fingers clutching a long, yellow pencil—she writes with fierce concentration; around her, dozens more children scribble and shuffle and steal glances at each other’s work. 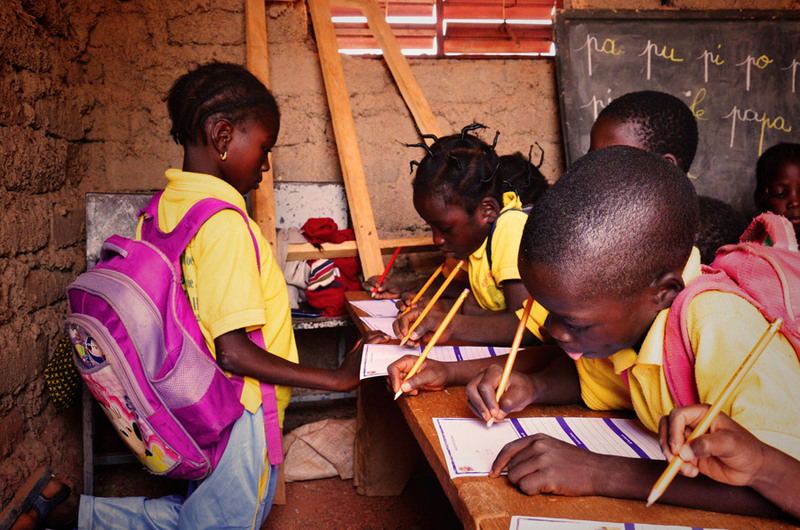 It’s Thursday, and that means it’s letter-writing day at the local Church of Redeemer Mission in Ipelcé, a small, rural community located 60km from Ouagadougou, the capital of Burkina Faso. After a long dry season, Valérie’s family (and many others) are praying for rain. Outside the classroom, the Sahara’s hot breath bends the young baobabs. The sun relentlessly beats upon the tiny room’s roof; the rough mud bricks of the walls are warm to the touch but the shade is a welcome refuge from the glare. If Valérie notices the heat, she gives no sign. She barely looks up from the paper in front of her until her handwriting has covered the page—even then, she only looks around to find the coloured pencils. She flips the paper and begins drawing on the back. Her tutor walks past and murmurs some encouragement. Then, finally, Valérie is finished. The only blank spot on the paper is the place where her Compassion sponsor’s name would go. But this will be left blank. You see, Valérie is not sponsored. As she hands her letter to her tutor, she says a quick prayer that one day her heartfelt words and pictures will find their way to a sponsor who will reply in kind. So far, she has written 64 letters. "It’s only a matter of time, madam. We hope that soon Valérie will be sponsored,” Lydia Zongo, the program’s director, told the girl’s mother when a year had passed without news of sponsorship. But then a second year passed. Valerie began to wonder what she’d done to offend sponsors. Was there something wrong with her? Why was her best friend, Felicite, sponsored and she wasn’t? Lydia and her team redoubled their efforts to instil confidence and a sense of worth in Valérie and in all the children—particularly those who don’t have sponsors. “[The risk is children might begin to believe] nobody wants them because they are not good kids. Most of them come from backgrounds where nobody has ever told them that they love them ... [Not being sponsored might] confirm in them the feeling that they are bad and that no one will ever love or befriend them,” she says. So they teach the children about God’s love for them, encourage them to participate as much as possible in letter-writing activities—as well as the rest of the program curriculum—and to give their worries to God. There is no activity that Valérie and other unsponsored children miss out on. There is no difference in the support that Valérie and her best friend, Felicite, receive. Compassion and each local church partner ensures that all children are known, loved and protected, whether or not they are sponsored. But the love and personal encouragement from afar are gifts that only a loving and attentive sponsor can give. 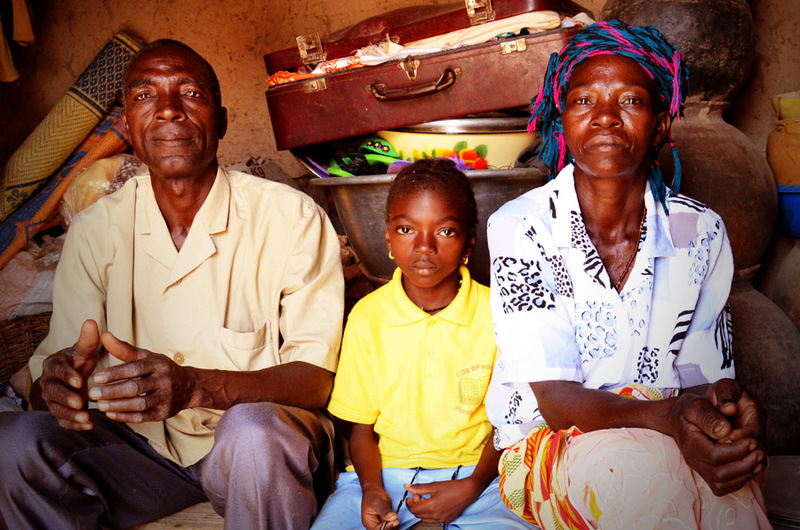 We are so excited to share that since we received this story material from Burkina Faso, Valérie has been sponsored! If you would like to, you can become a sponsor to a child like Valérie today.